Drive Productivity and Customer Experience - Eastern Business Software, Inc.
We’re all looking to achieve awesome results, but making Hope a Reality is not easy! 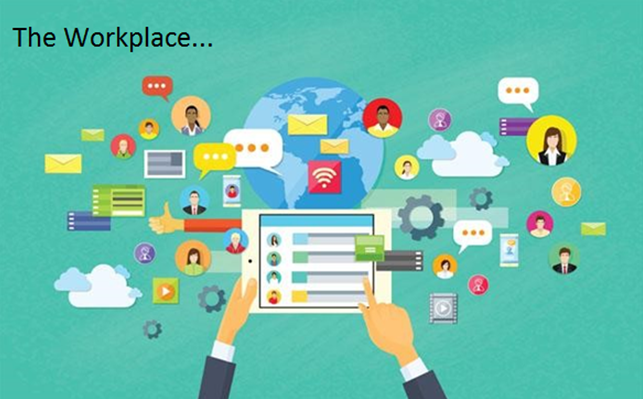 In today’s workplace, every one of us is required to do a multitude of tasks, which makes life very challenging! So how does one simplify the process? Here’s where technology comes in to streamline and co-ordinate communication and execution. But technology can be more frustrating than 3 hungry kids in a car with another 20 miles to the next rest area! So what’s the solution? The key is to understand and accept that technology causes us to change the way we do things, and it’s the process of change that is difficult, not necessarily the technology. The best way to implement this kind of change is to get familiar with one tool, and then add on the next and so on – really an approach to bite off only what one can chew and swallow, and then move on to the next step. While it is possible to do this without outside assistance, having an experienced trusted advisor like EBS Inc. on your side, can create results that can be simply AWESOME! Cloud based offerings from Microsoft are truly structured for teams and businesses to go a la carte with solutions that make sense for the situation at hand, and it is most important to understand and manage the implications of using these offerings. Check out this eBook for more information. Office 365 (eMail, Word, Excel, PowerPoint, Voice and Video conferencing), CRM (Customer Relationship Management), SharePoint (document management) and Accounting/ERP are some of the tools available, among others. Your vendor of choice needs to be able to “stitch” these together in a manner that makes sense, and not re-create the old using new technologies, which completely defeats the purpose! Then CONNECT with us or call 610-355-1978. We’re glad to chat and share what we have learned! This entry was posted in CRM Implementation, Office 365 and tagged cloud, CRM, ERP, Excel, Office 365, PowerPoint, Sharepoint, Word. Bookmark the permalink. ← Is migrating to the cloud the future?